Happy mid-January-in-2016 everyone! I hope your sewing year is going fabulously so far?! 2015 was an interesting year. Lots of changes in the first year of a new baby – changing body, changing requirements for clothes (nursing access, yep yep). I started out 2015 with a small baby, on maternity leave. Then finished the year with a fully mobile fast-walking one year old, and back at my full time job. There were a lot less sewing failures in 2015 than in previous years. I’ve always had a bad tendency to experiment with fabric types and patterns, which has naturally led to some poor decisions. I’ve been a lot more successful in curbing those “lets match this with that and see what happens, even though it probably won’t work” impulses recently! As with 2014, what I made last year was very much dictated by the having-a-baby thing, and the changing body that results from that. I focused a lot on garments that had “easy access” down the centre front (because tiny people get very impatient when they’re hungry! ), and would also work with my changing waistline. So that meant lots of dresses, as they don’t have waistbands that are a lot harder to take in! I picked styles where I could sew up the side-seam last, to make it easy to take them in later on. And I avoided styles with too much detailing around the waist or bust, due to changing fit needs (and very little sewing time!). 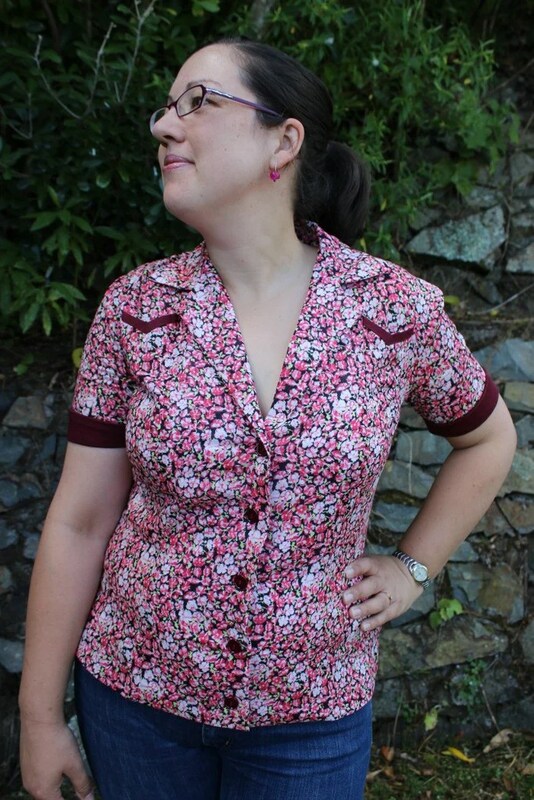 So all that meant – a lot of sewing with indie patterns, and very little sewing from vintage patterns! 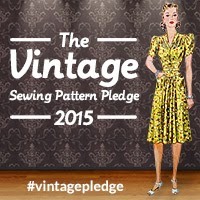 I only sewed four vintage patterns last year – two dresses, a slip, and a toddler dress. Shirt dresses were definitely a staple of my 2015 sewing – easy to adjust at the side seam later, and easy access. Later in the year, the Littlest Dude decided he wasn’t interested in anything except solid food any more, so I’ve started on the non-button-front dresses again. Variety! It’s a good thing!! I cast on two other projects – both Andi Satterlund ones. The Agatha cardigan in a gorgeous orange tweedy yarn, and the Sunshower cardigan in a dark purple. I’ve finished the body of both of them and am onto the sleeves – one is a knit-at-home project, the other is a knit-at-work project. Both are lucky to get any attention at the moment! 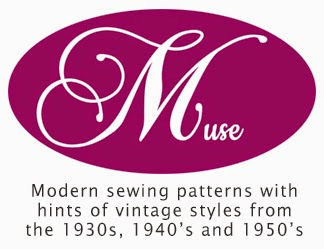 I started out 2015 with lots of things planned for Muse patterns. Heaps of pattern ideas going through my head (most of which were already sketched up, variations thought out, and even named! ), plans for producing paper patterns, and blogging/tutorials/social things too. I’m happy with what I did do with Muse though. Four patterns were released – the Melissa dress (first woven pattern! ), the Sophie cardigan, the Tahi skirt and shrug, and the knit sleeve pack (the first mini-pattern, designed to provide even more options to existing patterns). All of which have been well received, and there have been some lovely creations appearing online. It always gives me such a buzz when I see someone has made one of the patterns! 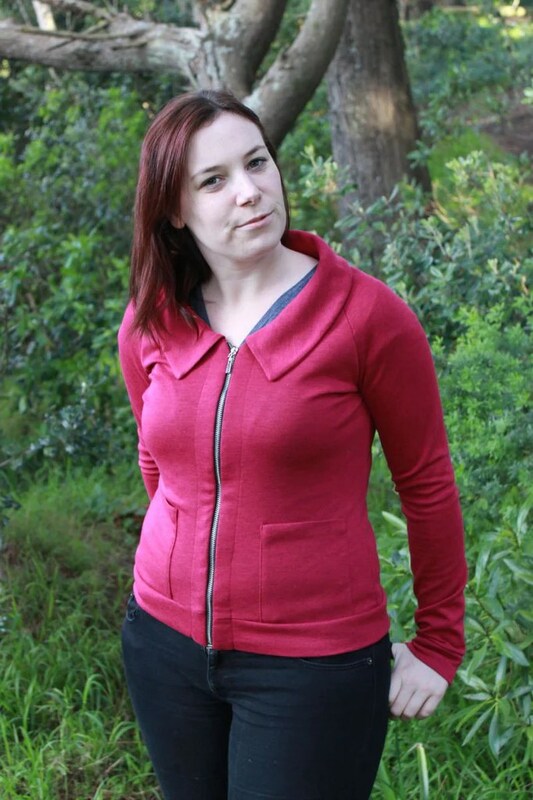 Muse became more well known, and is now stocked by three online stores – Pattern Review, Indiesew, and Girl Charlee. And work started on paper patterns – there’s still a fair amount of progress to be made, but I can say, it is progressing! I really want to create a physical product that is beautiful and makes people happy, and I’ve been working with an amazing designer on the packaging. Hopefully in another couple of months, I’ll be able to show it all to you! Mel and I kept on doing our thing with The Monthly Stitch. Which just keeps on getting bigger and bigger! It’s great seeing so many enthusiastic, talented people. 🙂 We ran Indie Pattern Month for the third year in a row, and it was a huge success – heaps of people joined in, we interviewed heaps of designers, and everyone had a lot of fun. And aside from sewing, what else happened in 2015? I was off work on maternity leave for the first few months, enjoying baby cuddles (and lots of long walks, since the Littlest Dude was a non-sleeper, so if he hadn’t had a daytime nap by 4pm I’d go for a walk to try and make him sleep for 20 minutes. A good way to enjoy some sunshine and get a bit fitter, as it turns out!). I started back at work part-time in March, with my partner cutting his work hours to part-time so we could alternate days at home with the little one. Then I went back to work full-time before the middle of the year. Going part-time for two months first definitely made for an easier transition this time! Back at the little baby stage in late 2015. Awww…. In other work-related stuff, I presented at a couple of conferences – the Customer Experience conference in Auckland, and the UX NZ conference in Wellington. I gave two presentations at the first conference – one on the importance of aligning internal corporate culture with customer experience and brand. And the other at how qualitative and quantitative insights can work together to be more effective for organisations. The second of these was also given (in an updated form) for the UX NZ conference later in the year. Lots of pushing myself out of my comfort zone, and improving my speaking skills, which was great! (I always feel so awkward doing that sort of thing. Or telling people that I’ve done it. Even mentioning it here is pushing me out of my comfort zone. Hah!) I also got interviewed for a “women in digital” blog post after the Customer Experience conference. In September, my sister and I went to meet the Red Pandas at Wellington Zoo for our birthdays. They are so cute and cuddly and gorgeous! I got to meet the Lemurs early in the year as well, with Mel. Again – cute and cuddly and gorgeous! So, there we have it! 2015. It was a fun year in a lot of ways. A very difficult year in some ways (non-sleeping-baby and surviving on about 4-5 hours of extremely broken sleep a night for months on end. Ugh). And now it’s 2016! Building kit set drawers on New Years Eve! This entry was posted in Yearly review. Bookmark the permalink. Good luck with becoming a distributor for Australian Tapestry yarn! You did so much last year, wow. Enjoy all that 2016 has to offer. Happy New Year! I really enjoyed reading your reflections. Sounds like you had a really busy year. I’m looking forward to hearing your plans for 2016! Wow! What a year! 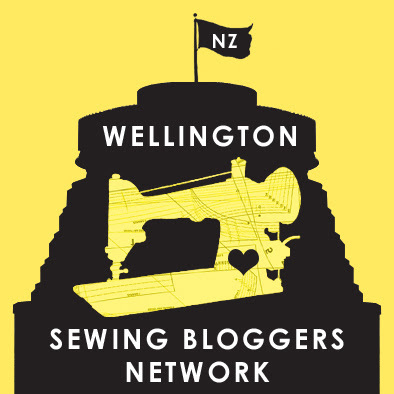 I love your patterns (about to make a few more next up on the sewing rank) and am so grateful to you for starting the Sew Indie NZ shop. I hope 2016 brings you lots more sleep and lots of fun. Aww thanks Sandra! 🙂 I’ve been enjoying your posts lately – great to see you blogging again. Have a fantastic 2016! Honestly, I can’t think how you managed anything on that little sleep, and you managed loads. Well done! Wow! My you certainly accomplished a lot, especially with having those two cute dudes! Yay for Sunshower cardigan twins!! 🙂 I would totally be keen for a twins photoshoot, but I think you’ll probably finish your cardigan a few months before I finish mine! I think it’s going to take me anouther 2-3 months to get mine done… Hopefully in time for winter, fingers crossed! Now that I know what sewing with children is like, it looks like quite a productive year to me! And thanks for sharing about the little guy’s sleep issues. Having a non-sleeper myself, it’s good to have the reminder that it’s just a stage. Wow! I may just have to start feeling like an under-achiever! I’m really enjoying the Muse patterns I have so while I think 4 patterns in one year is plenty (and don’t think you should put too much pressure on yourself), I’m really looking forward to the next pattern! Next pattern is about 1/3 of the way through drafting stage – it’s taking shape yay!